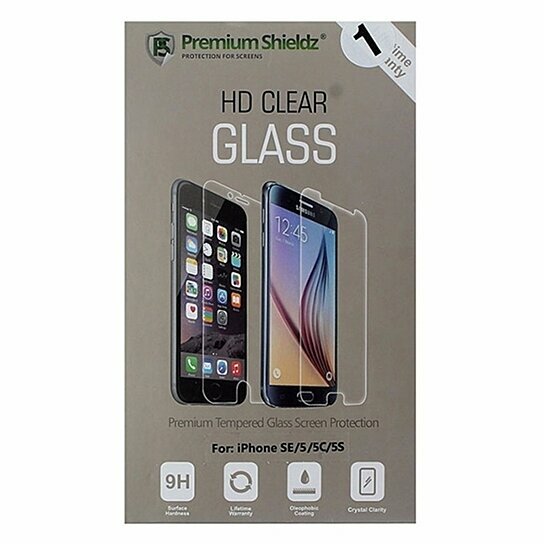 Premium Shieldz products, HD Clear Glass Series, Premium Tempered Glass Screen Protector for Apple iPhone 5/5s/SE/5C. 9H Hardness, Oleophobic coating, Crystal clarity, Super Smooth. Scratch and shatter resistant.